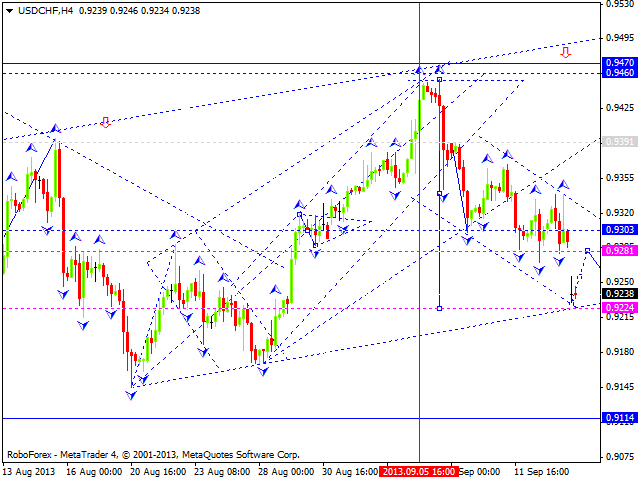 The market was opened with a gap up today, which means that Euro may form one more ascending structure. We think, today the price may fall down to return to the level of 1.3325 and then start a new ascending movement towards the target at 1.3400. 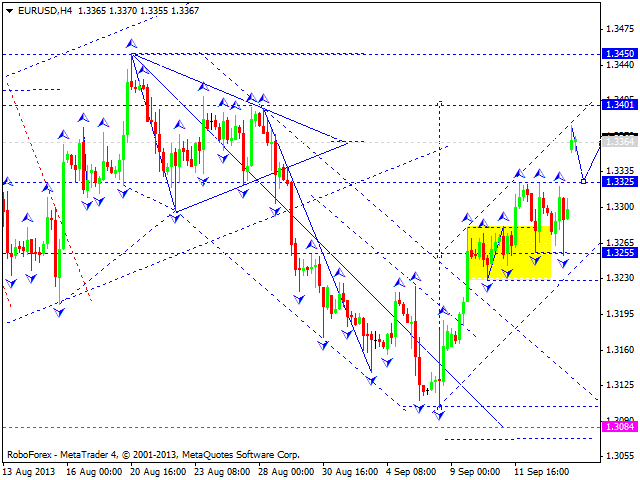 Later, in our opinion, the pair may form the fifth wave of this descending correction with the target at 1.3080. Just like Euro, the market was also opened with a gap up this morning, which means that Pound may continue moving upwards. We think, today the price may fall down to return to the level of 1.5880 and then complete this five-wave structure by growing up and reaching the main target of this wave at 1.5970. Later, in our opinion, the pair may start a new descending correction towards the level of 1.5390, at least. The market was opened with a gap down today, which means that Franc may form another descending structure. We think, today the price may return to the level of 0.9280 and then reach a new minimum at the level of 0.9224. Later, in our opinion, the pair may start forming the fifth wave, the ascending one, of this correction. Just like Franc, the USD/JPY currency pair was opened with a gap down this morning and may continue falling down. 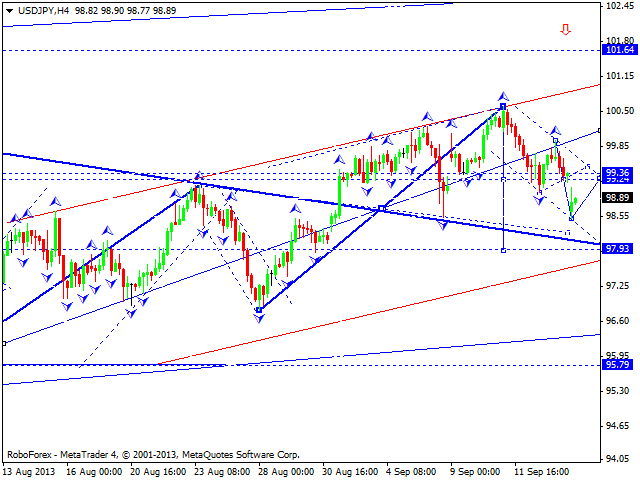 We think, today the price may return to the level of 99.25 and then move downwards to reach the target at 97.95. Later, in our opinion, the pair may form another ascending structure towards the level of 101.60. Australian Dollar was opened with a gap up this morning, which means that the market may continue moving towards the main target of the third structure. 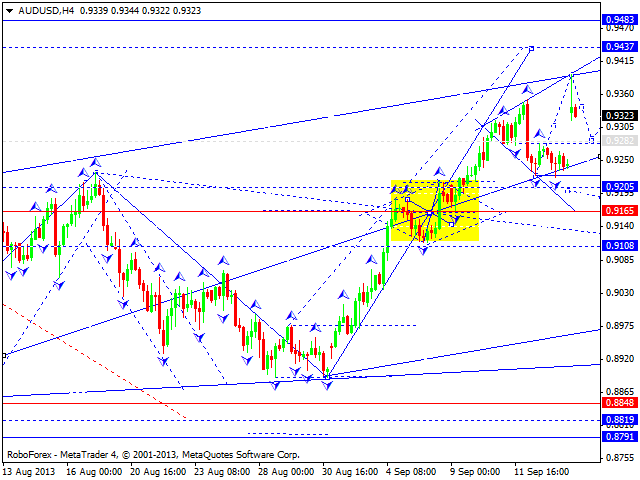 We think, today the price may fall down to reach the level of 0.9280 and then grow up towards the target at 0.9435. Later, in our opinion, the pair may start a deeper correction towards the level of 0.9100. 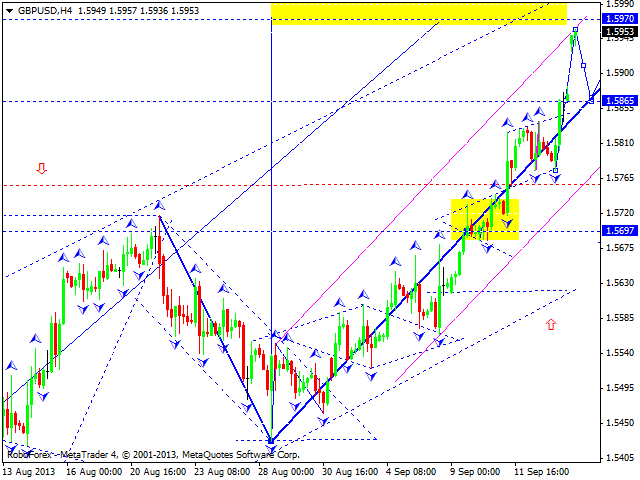 The instrument was also opened with a gap up and may reach the target at 1341.19. We think, today the price may fall down towards the level of 1322.80 and then move upwards to reach the above-mentioned target. 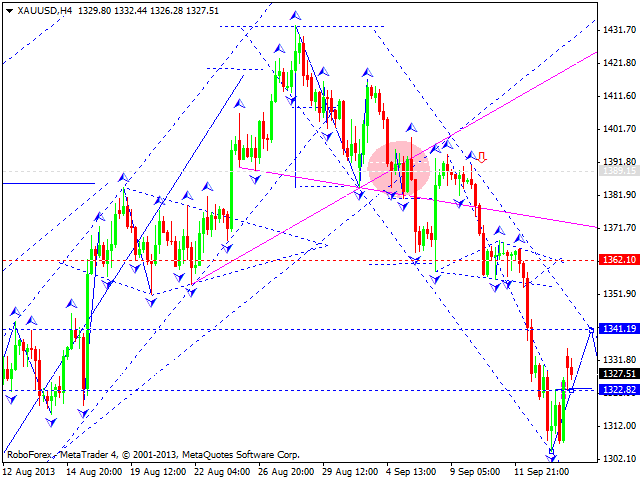 Later, in our opinion, Gold may form another descending structure towards the level of 1291.00.